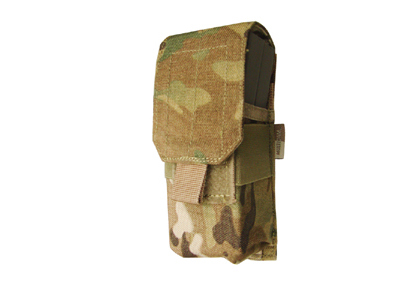 This MOLLE Single M4 Mag Pouch fits TWO (2) M4 mags. Adjustable strap with pull-tab to hold the mags tight. The Grommet on the bottom of the pouch allows for drainage. 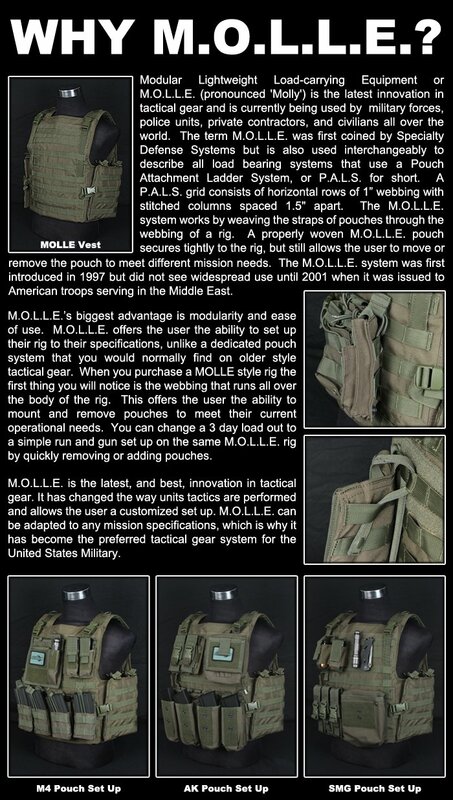 I got two of these single pouches, and two doubles, all in MultiCam. They work very well at holding in even a Single Magazine per pouch. I had a situation where I went upside down trying to climb up an obstacle and OOPS, one of my pouches was open. The Magazine was still in there after that little issue. The only drawback to them, is if you are not using the standard metal NATO Mags. They will hold two of those with no question. I use Magpul PMAG's, and they are best deployed with one per pouch. If you are a seasoned player like me, you learn to adapt to issues such as this as I have. Just keep all that in mind, and these pouches will take care of you. 1. Will retain 1 much, let alone 2. 2. Has 2 retention systems, the flap and the elastic. 3. The flap is removable to convert to open top. Won't fit 2 mags if not a NATO Mag. Do you have an ETA for stock? Will this fit an echo 1 hi-cap magazine?